On June 2 Senator Ike Ekweremadu was in Delta state Nigeria to commission numerous completed projects under governor Ifeanyi Okowa. On his arrival,Ike Ekweremadu was highly welcomed by His Excellency Senator Ifeanyi Okowa,his cabinet,youths and women groups among others. Eze Celestine Emeka The man of the people! Nnamdi Jermain Ikeoha global! Always on point Sir. Jude Ekwedike You make us so proud! Ezike Okwudili Calistus Ikeoha gburugbury, ikeoha global. I stay in Asaba; I am a witness to what His Excellency Dr. Okowa has done, is doing and will still do. 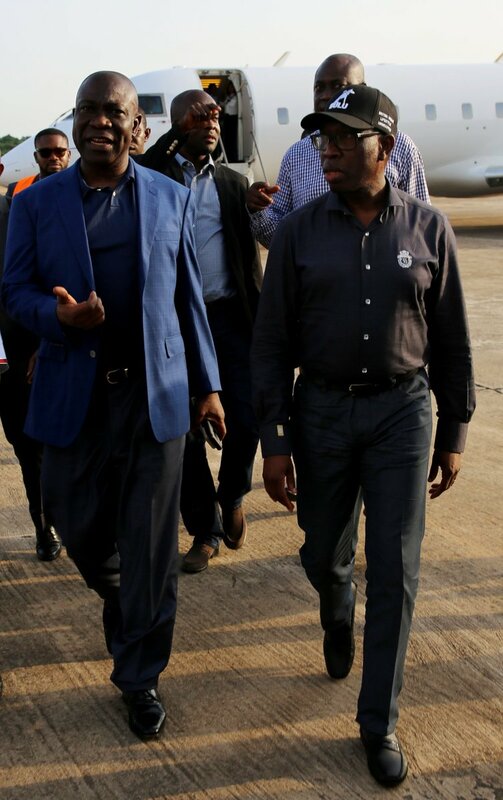 I was in Delta State at the weekend to commission numerous completed development projects, inspect ongoing ones, and lay foundation stone of the Delta State Central Secretariat. On hand to receive me were His Excellency, Senator Ifeanyi Okowa, Governor of Delta State and his cabinet; the Delta State Caucus at the National Assembly led by Senator James Manager; the Speaker of the State, traditional rulers, youth and women groups, among others. I am highly impressed. Delta is matching forward. The Nsukwa-Idemili Road, Agbor-Alidima Road, the ultra-modern library complex, and the numerous projects I commissioned or inspected point to the fact that there is hope for Nigeria. tenure deserves another'' says Senator Ike Ekweremadu.